Posted 4:14 pm, May. 7, 2018. 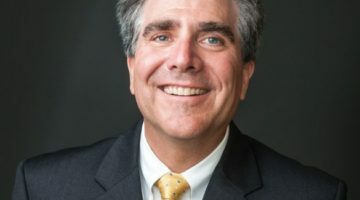 Michael Lapré, the E. Bronson Ingram Research Professor of Operations Management, is among the Owen faculty members teaching courses for Vanderbilt’s new business minor. When Vanderbilt senior Sasha Pines arrived on campus in 2014, she was intent on studying business. But like many Vanderbilt undergraduates before her, Pines saw no direct path to achieving that goal through one of the university’s majors or minors. Instead she faced a thicket of overlapping programs across several different schools. And among those, none clearly indicated she would receive a firm grounding in the basic skills of business. As an Arts and Science undergraduate, however, Pines gravitated toward economics and pursued a minor in managerial studies, a program that highlights key topics like marketing, accounting and corporate finance. The Managerial Studies program worked out nicely for Pine: It balanced practical business knowledge with the strong liberal arts curriculum for which Vanderbilt is known. She also made her own luck along the way, starting Vanderbilt’s first Women in Business chapter for undergraduates and securing an internship at Accenture. She recently accepted a job as an associate consultant in Bain & Co.’s Atlanta office following graduation. For students like Pines, who had been seeking a straightforward route to studying business at Vanderbilt, the university launched a new minor this fall to address that very need. After four years of planning, a university committee designed a business curriculum that builds upon the achievements of the Managerial Studies program by drawing on strengths from across Vanderbilt. 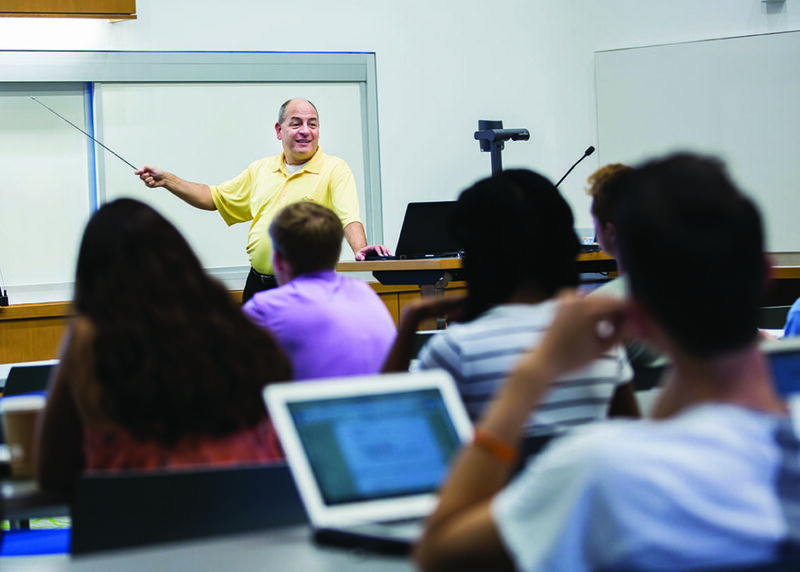 Full-time faculty from the Owen Graduate School of Management teach a core set of business fundamentals, supplemented by management-related electives from across the university. Students can tailor their courses around one of seven predetermined pathways: entrepreneurship, ethics, finance and accounting, marketing and advertising, operations, organizational effectiveness, or strategy. “I’m so mad that I’m graduating just when the business minor is getting started,” Pines says only half-jokingly. She notes that the professors and courses in her managerial studies minor have played a “defining” role in her education. For an institution whose founding namesake, Cornelius Vanderbilt, once told a reporter, “I have been insane on the subject of moneymaking all my life,” little formal instruction has been offered around the subject of business throughout the university’s nearly 150-year history. Vanderbilt trustees debated the idea of launching a “Commercial College Department” as early as 1881 before tabling the discussion. 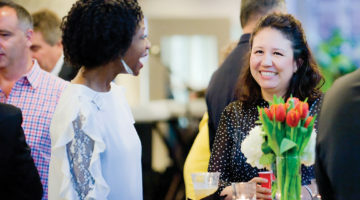 The topic languished until the late 1950s, when the economics department housed a business administration program that became the most popular major on campus. Around this same time, university leaders began work to establish a graduate school of business, which formally launched in 1969 with 10 “student associates” attending their first classes in a vacant bar at the University Club. 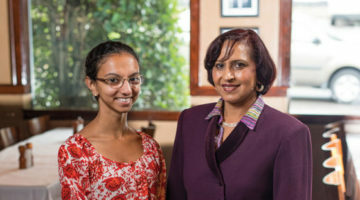 Cynthia Cyrus, vice provost for learning and residential affairs, says it had become increasingly clear that the university needed to tackle squarely the issue of offering undergraduates a formal course of study in business. “We saw a growth curve that was unsustainable,” Cyrus says with a sly smile indicating her fluency in corporate-speak. Through an initiative originally launched in 2013, a committee of about 15 members—which, for the first time, included representatives from the Owen School—began its work by deciding what Vanderbilt was not going to do. The group quickly ruled out establishing an undergraduate business school or creating a business major. It also began to study other undergraduate business programs at top universities to explore how Vanderbilt could put a unique stamp on its curriculum. While the new minor offers a useful framework for designing future university-wide programs, just as importantly it gives talented students a new reason to want to attend Vanderbilt, says alumna Susan Hoogland, BS’82, who along with her husband, Keith, BA’82, committed $5 million in September to establish the minor as part of the new Hoogland Undergraduate Business Program. 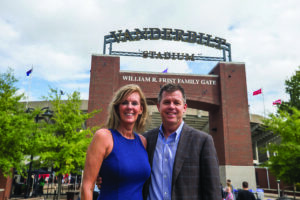 (see sidebar) Hoogland became concerned after learning that one of her son’s high school friends was not even considering Vanderbilt because it lacked a robust undergraduate course of study in business. “Vanderbilt had been missing out on these incredibly talented students,” she says. And it hasn’t just been potential students sidestepping Vanderbilt. Johnson says many recruiting companies have struggled to understand exactly what business skills Vanderbilt graduates might possess once they earned their degrees. Would they be familiar with basic principles in subjects like accounting or brand management? “We were hearing from companies that there was a desire to understand what ‘business’ meant at Vanderbilt,” Johnson says. Those pragmatic concerns had to be balanced against Vanderbilt’s longstanding tradition in the liberal arts, however, which is the reason a business minor makes so much sense, says Cyrus.